Have you ever sat in a room full of power players and wondered why you were invited to the room? Your experience and track record as a great leader has rightfully landed in you among your peers, no matter how many accolades you have under your belt, you still feel like a fake? You’re probably suffering from imposter syndrome, which makes people feel like an inadequate, doubtful and intellectual fraud. 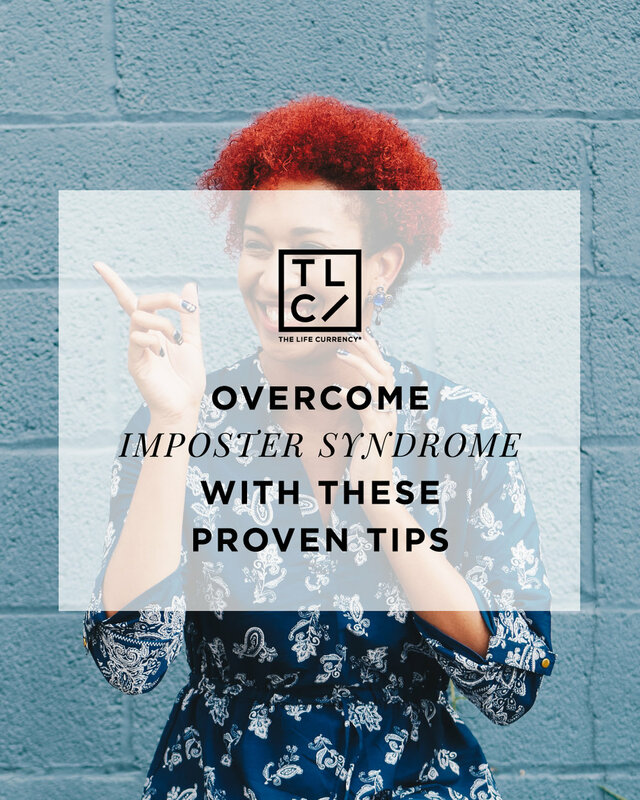 According to Forbes, over 70% of people report experiencing impostor syndrome at some point in their career. Even when there are facts to invalidate the feeling of unworthiness, people who suffer from it are still unable to recognize and celebrate their wins. All of that negative nonsense ends today. Don’t let this syndrome deplete your confidence and veer you from your positive career trajectory. Here are four ways to kick imposter syndrome out of your life. Warmly accept praise and recognition that people give you and stop undervaluing your contributions to your success. Don’t shrink or dismiss compliments on your work. Your skills, your knowledge and your tenacity to play the game of life is why you were able to achieve. You put in the work, so acknowledge the hours that you put in to get the job position or raise you deserved. It’s never a good thing to start a new job, a new promotion or new chapter in life with self-doubt. Don’t enter into a new space feeling as if you don’t have what it takes to succeed. Those negative thoughts will only set you up for failure. Affirm your abilities by reviewing your previous successes. Write down all the things you’ve been able to accomplish up to your new opportunity and you’ll be reminded of all your strengths and capabilities. If you can achieve the things on your list then surely you can tackle the road ahead. Easier said than done, right? In the world of likes and followers, you constantly measure our abilities, character and successes against others. It’s an imaginary and unrealistic scope of expectations that tell you where we should be in life and at what particular age it should happen. However, it only damages your confidence and places unnecessary pressures on you. Instead of becoming occupied by what your peers are achieving, take the time to focus on your personal career goals, the quality of work you produce and how to take it to the next level. Focusing on yourself without the distraction of others will keep you on track. Adulthood is when things get real and comparing yourself to someone else should be the least of your worries. It wasn’t just luck that landed you that job. It was all of you! Therefore, start being confident in the things that you bring to the table. Share your ideas in meetings, point out the value your brought to a team project and pat yourself on the back. Even use Post-It notes as reminders of the characteristics and qualities that make you the right fit for your job. What you have to offer is enough, and your employers and clients see that. Most importantly, you have to see too.